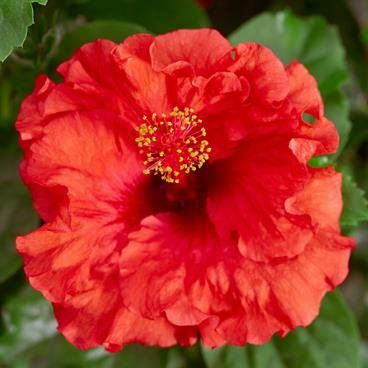 Hollywood Hibiscus BOMBSHELL lives up to her name: she’s a big, bold, beautiful presence in the garden, turning heads wherever she’s planted. As Hollywood royalty, her ruffled petals she command attention. Frequently seen with WILD CHILD, they make quite the pair. She spends time with RUNWAY BEAUTY — they’re not quite best friends, but they’re not frenemies either. Like bright red lipstick, BOMBSHELL never goes out of style. Whether your garden is modern or classic in design, make room for this regal beauty. She’ll instantly up your garden game. You have a confident, commanding presence. You have a classic sense of style.